short girl, long island. : Teach Me Something Thursday, Volume Twenty-Two. According to the cheesy 80s flick, The Allnighter, "A babe in the kitchen is worth two on the beach." While some might disagree [especially if said babe in the kitchen burns water], you can't deny that a significant other who can cook is a plus. My mom whipped up a quick sweet treat that anyone can toss together! 7. Stuff your face like there is no tomorrow! Super simple + delicious. Now you don't have an excuse to toss together dessert on Valentine's Day! 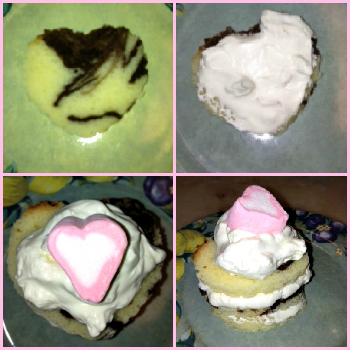 If you have a fun Valentine's Day recipe or craft you'd like to share, contact me - I'd love to feature you. looks delish! Thanks for the recipe!